PRICE PER PIECE Tile Size: 29.8 x 29.8 cm Resin and glass mosaic in reddish tones. Make a bold style statement with the colourful Athena mosaic tile. Features a variety of red tones, the Athena mosaic tile is the perfect choice for a colourful kitchen splashbacks or feature wall. 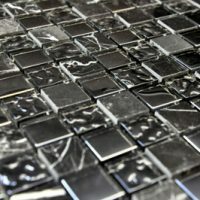 The Athena mosaic tile is available in a standard size of 29.8×29.8cm and is sold per piece. 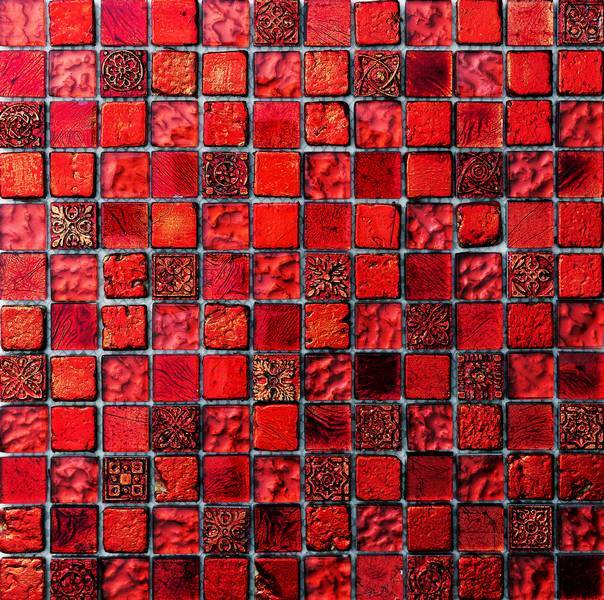 This bold red mosaic offers a great blend of style and practicality. 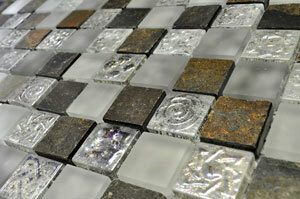 Made from resin and glass, each tile consists of a random mix of textures and patterns in different shades of red. It does incredibly well to complement neutral colours or can be used in contrast with other bright colours to create a cheerful indoor environment. The Athena mosaic tile has been specially designed for installation with minimum grouting. This makes it very easy to install and provides a neat and modern finish. It is easy to clean and maintain. For bold mosaic tiles in Perth, look no further than the Athena mosaic tile. 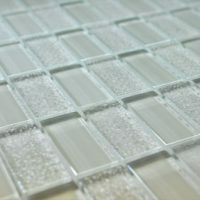 Buy this colourful mosaic at the lowest price from our online store today to avail our free delivery across Perth Metro!